Obituary for Beverly A. (Reed) Bowman | Timothy A. Berkebile Funeral Home Inc.
Beverly A. Bowman, 80, of Bedford, went to be with the Lord, on February 3, 2019 at UPMC Bedford Memorial Hospital. She was born on January 8, 1939, in Johnstown, a daughter of the late Ralph and Katherine (Bouch) Reed. On August 18, 1954, in Nanty Glo, she married George S. Bowman who survives along with the following family: two sons, George D. Bowman and wife Diane, of Belsano, Ralph E. Bowman of Altoona, one daughter, Margaret Bowen, of Grayson, GA; two grandchildren, Michael Bowman and wife Renee Lynn, of Boykins, VA, and Renee Laughard husband Michael of Twin Rocks; 9 great-grandchildren; 4 great-great-grandchildren; one sister, Sally Rush, of Portage, and one brother, Robert Reed and wife Andrea, of Hollidaysburg; and many nieces and nephews. 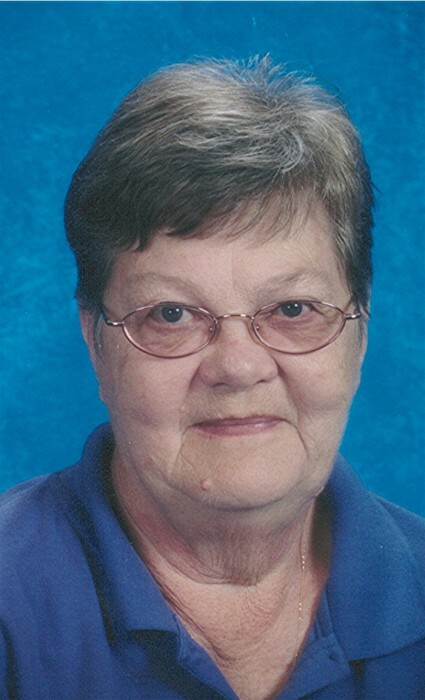 Beverly was a member of the St. Thomas Catholic Church and drove bus for Bedford Area School District. She enjoyed bingo, word searches, crocheting, cross stitch and had the opportunity to travel and live all over the United States with her husband. Funeral Services will be held on Wednesday, February 6, 2019, at 1:00 p.m. in the Chapel, at the Timothy A. Berkebile Funeral Home, in Bedford, with Father Richard Tomkosky officiating. Burial at Bedford County Memorial Park. Friends will be received on Wednesday, from 11:00 a.m. until the hour of the service at the funeral home. Our online guest book is available at www.berkebilefuneralhome.com.